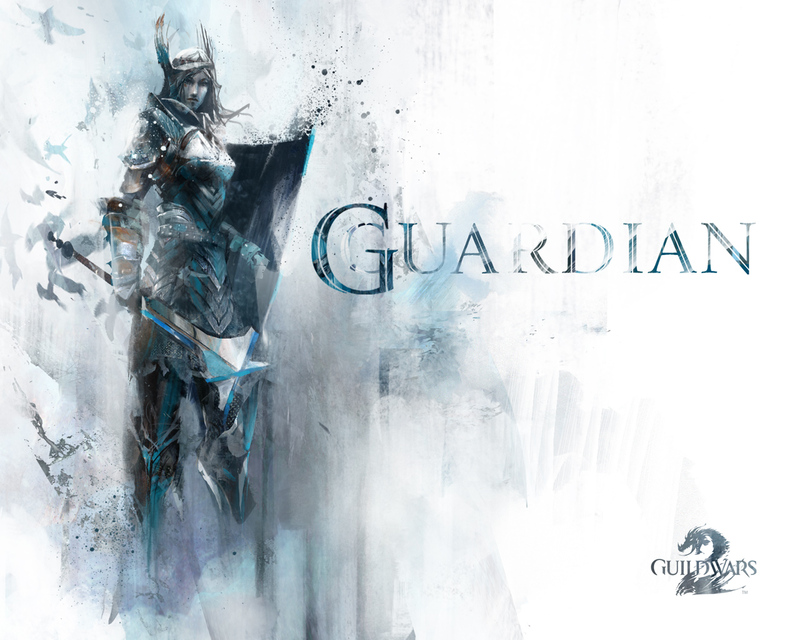 A guardian’s virtues protect them, but they can elect to relinquish the benefits of those virtues to extend their power to nearby allies. 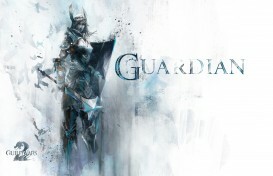 This ability makes the guardian an excellent supportive fighter. 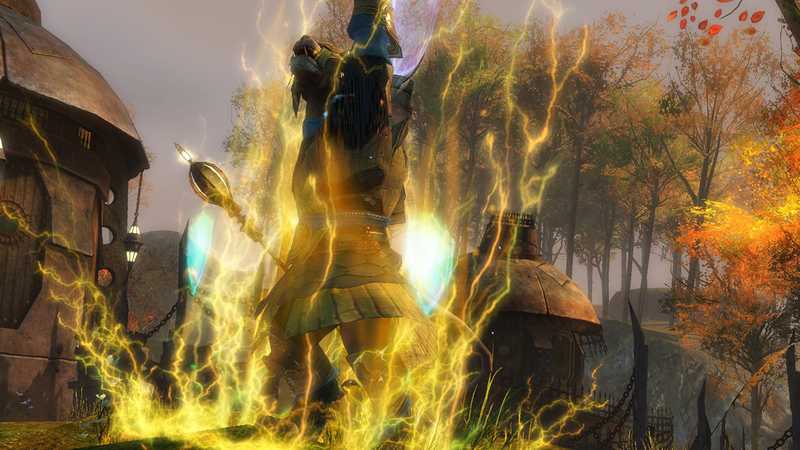 The fire of justice burns enemies every few attacks. 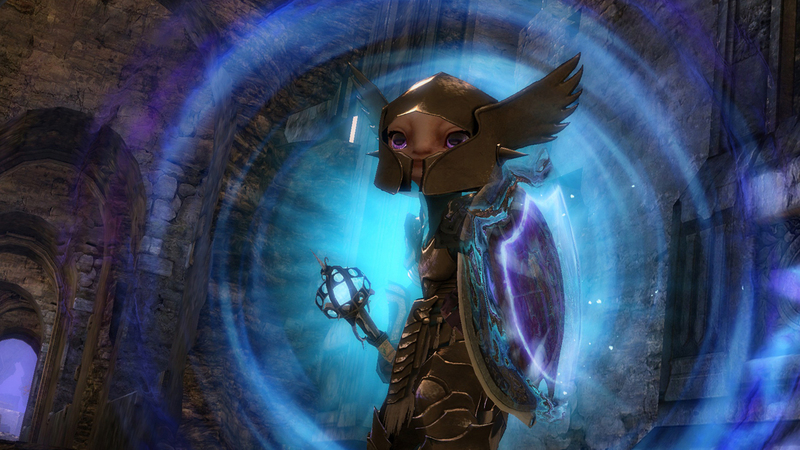 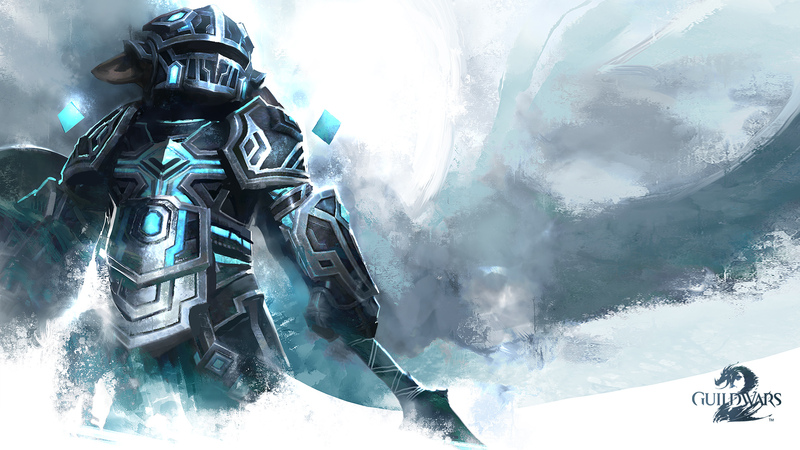 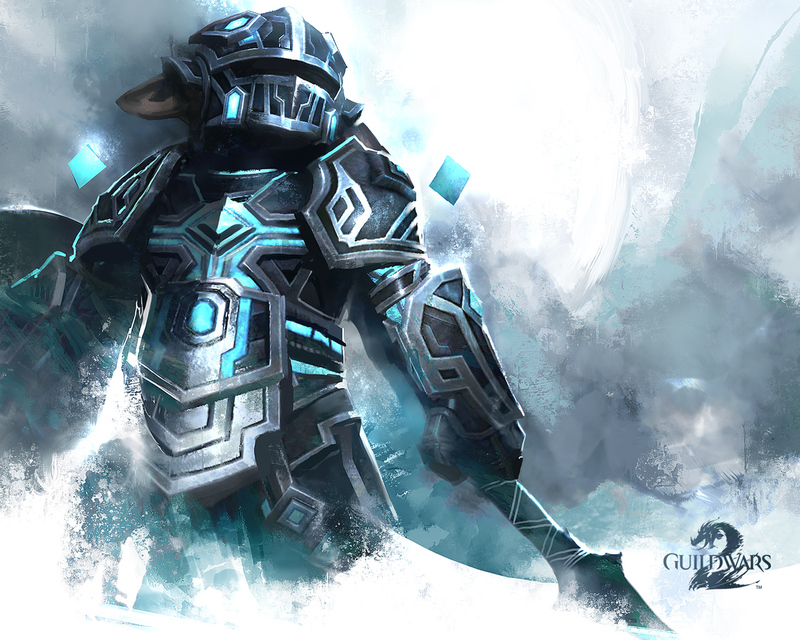 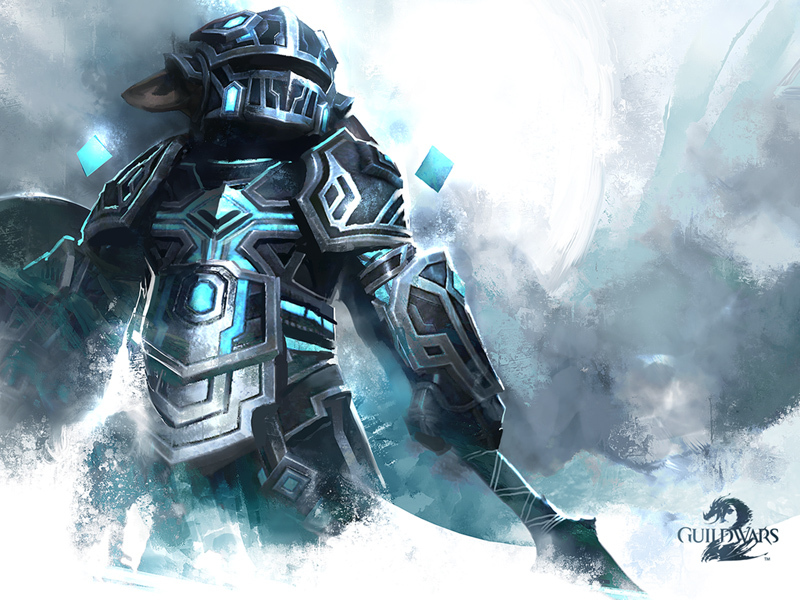 Guardians are granted aegis periodically while this virtue is active, blocking the next incoming attack. 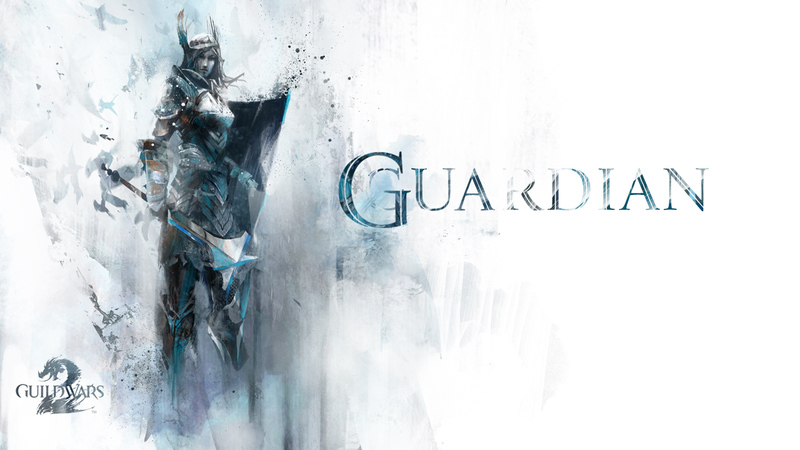 Through resolve, guardians passively generate health, allowing them to venture into greater danger. 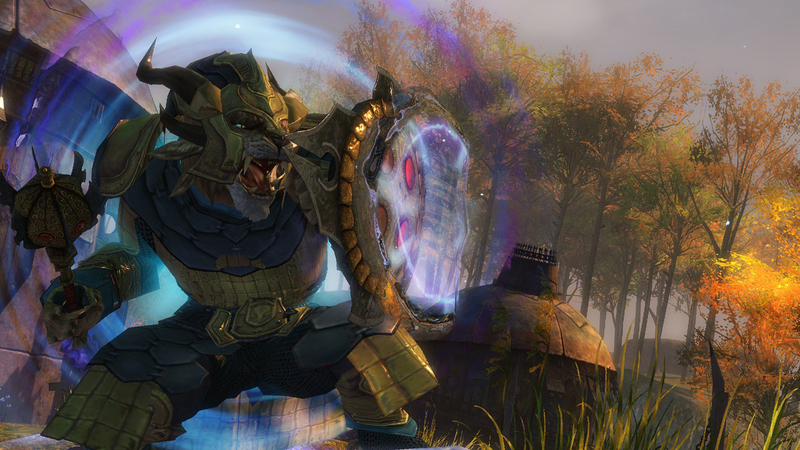 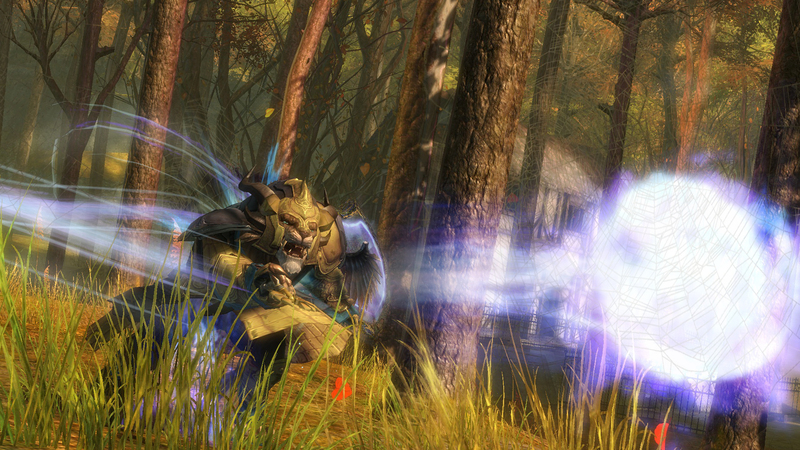 Guardian skills combine battlefield tactics with spiritual might. 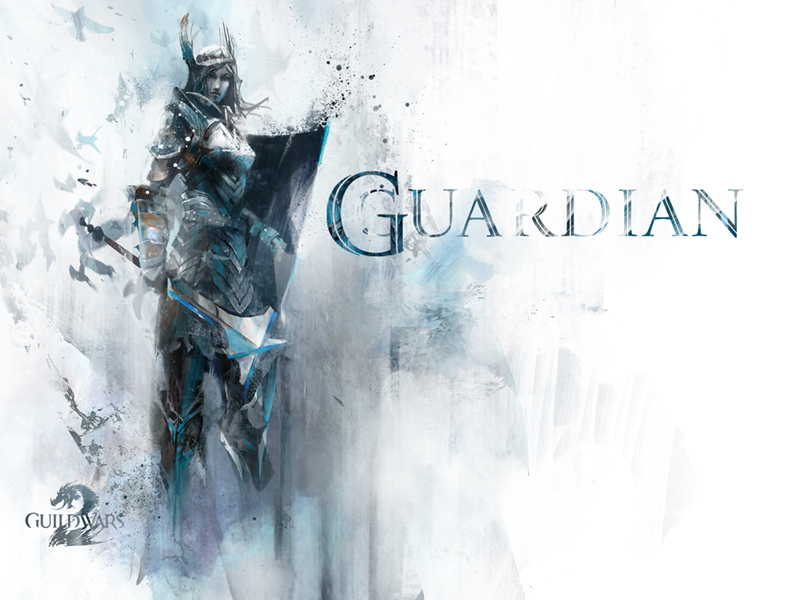 Guardians summon spirit weapons—ghostly hammers, bows, shields, and swords—to fight at their side for a limited time. 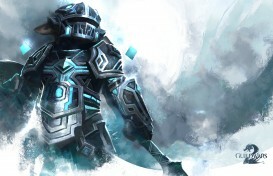 These weapons can be commanded to inflict a powerful attack before disappearing. Guardians use shouts to aid allies or hinder enemies within earshot. 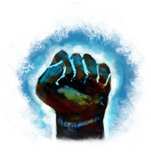 By shouting for their companions to “Hold the Line!” guardians grant them regeneration and protection. 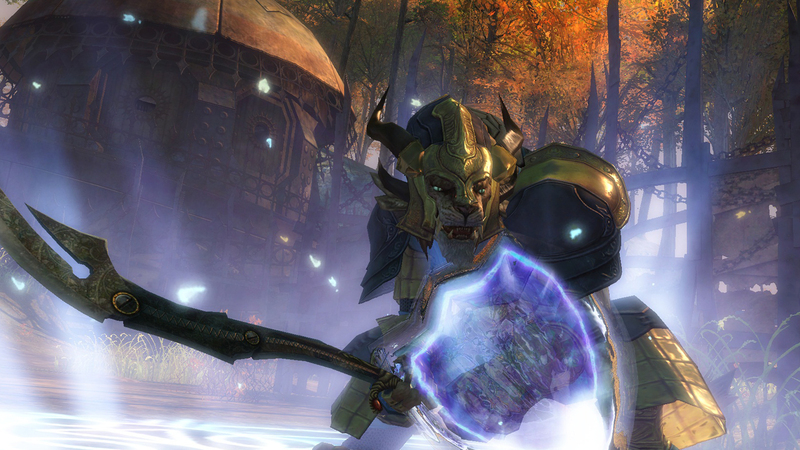 Shouting “Retreat!” in a dire situation gives allies speed and aegis.